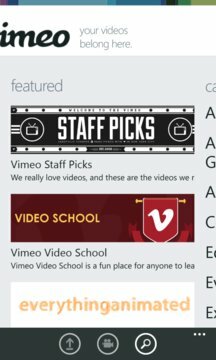 We packed all the best parts of Vimeo into one app for your Windows Phone 8 device. Now you can upload, manage, and watch videos from anywhere. And whenever you need more inspiration, you can browse great videos that match your interests in our member-curated Channels and Groups. 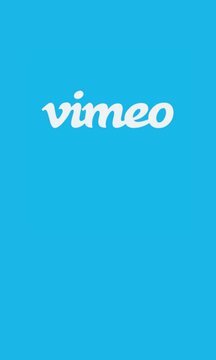 If you own a Nokia Lumia Windows Phone 8 device, you get an exclusive offer for a free 3 month trial of Vimeo Plus membership ($30 USD value). New in version 2.2, use your voice to control Vimeo for Windows Phone! Perform a search or pause you video, all using the power of your own voice! What is Vimeo? It's a friendly place where anyone who takes or loves video can watch, share, discover, and be inspired. Learn more at Vimeo.com.